Case studies are a great way to learn about our crop fertility product uses and effectiveness from other people who have tested them. HUMA GRO® has been testing its products since it was established in 1973. Now there is a list of recent field trials and 3rd-party research available on the case studies page found on the resources tab. This page will be updated as new research becomes available throughout the year. Our mission is to provide technologically-advanced and ecologically sustainable quality products and services that replenish the earth by restoring water quality, reviving soil fertility, renewing food and fiber value, and refocusing engineered technologies; while minimizing human environmental impact and thereby enhancing the quality of life world-wide. For over 40 years, since 1973 HUMA GRO® has been developing high efficiency liquid soil health and plant nutrition products. HUMA GRO® helps growers improve crop quality and yield with our Micro Carbon Technology®, which is contained in our sustainable soil and crop fertility products and optimal growth managers. By producing an abundance of a larger quantity of crops with HUMA GRO®, feeding the population becomes a reality. Together, the partnership can produce a win-win outcome for everyone including the consumer, grower, distributor, HUMA GRO®, and global communities. Bio Huma Netics, Inc. (BHN), founded in 1973, is celebrating 40 years of business with a special “thank you” offer for our customers. BHN will be giving 14% discount off of customer’s normal final cost on all Sustainable Soil Fertility Products ordered for 4 months, with orders placed from September 1, 2013 to December 31, 2013. As part of the deal, we ask that our customers share the field results of these products and each order must be a minimum of at least 40 gallons or more. 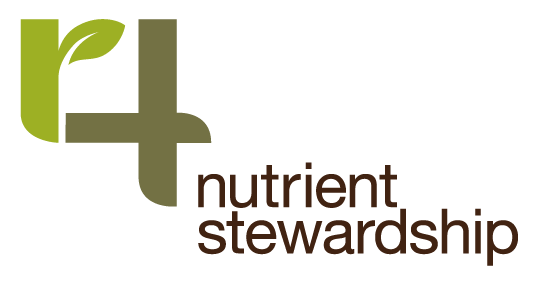 The Sustainable Soil Fertility Products were the first liquid products created by BHN when it first started the liquids. Forty years later, BHN is going back to their roots and celebrating soil as the foundation. BHN’s Sustainable Soil Fertility Products are offered in the product lines for HUMA GRO® and HUMA GRO® TURF, and includes BIO ENERGIZER® in the Probiotic Solutions® line. Bio Huma Netics, Inc. (BHN) has grown tremendously in the last 40 years, and expects to continue to grow in the next 40 years. This is a technique using an OMRI-listed organic product PROUD 3® as an additive for fruit and vegetable washes, which was pioneered by HUMA GRO®’s distributor in Guatemala. The melons are cleaned initially with a mix of water and chlorine to remove any dirt from the field, then they pass through the PROUD 3® disinfectant to prevent the post-harvest diseases. To disinfect Honeydew and Cantaloupe melons, the dosage is to add 5 milliliters of PROUD 3® for each liter of water used. Submerge the melons for a minimum of 15 seconds in the bath or spray the mixture on the melons for the same amount of time. The PROUD 3® works to disinfect the melons and controls the incidence of bacteria and fungi. In Guatemala some growers were losing from 25% to 70% of their production to mold and mildew diseases in transit to their markets. With the use of PROUD 3®, their transportation losses have been reduced to only 1% to 10%. PROUD 3® can also be used to disinfect the refrigerator containers used to transport the pallets with the melon boxes. For this, use fumigation pumps or sprayers and mix a dosage of 10 milliliters of PROUD 3® for each 1 liter of water sprayed. View the full field report. For more field studies and research reports, please sign up here, check your email for login credentials, and login here. The HUMA GRO® plant growth managers are ideal for stimulating the plant to produce its own beneficial hormones naturally. This helps you deliver improved crop quality and yields, resulting in more uniform maturity and consistent size. The result is greater efficiency, productivity and profitability at harvest. Below are three featured plant growth managers for increased fruit production. BREAKOUT® helps increased fruit production through cellular expansion & horizontal division. If it’s applied at bud break, you’ll see a quicker bud break, more vigorous budding, increased flower initiation, and improved uniformity of bud break. If it’s applied at flowering, you’ll see more flowering, increased fruit set, better fruit holding, uniform fruit sizing, and expansion of the fruiting cycle. Use VITOL® as the alternate during the flowering stage. VITOL® is vital for vigorous plant growth by promoting cellular enlongation & vertical division. VITOL® increases foliar growth at emergence and maintains late season growth and vigor. It also increases fruit size and improves uniformity of fruit size. In essence, it gives plants energy. JACKPOT® works to achieve uniform maturity through translocation of nutrients into the fruit. JACKPOT® results in uniform maturity, better fruit color, better yield quantity, and increased fruit size. Don’t miss out on the opportunity to be the designated HUMA GRO® representative in your area.